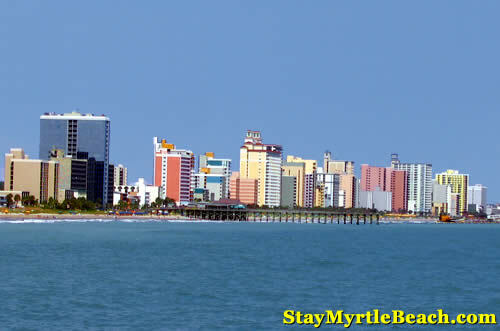 The nation's beach vacation and golf capital, Myrtle Beach, South Carolina, is located in the heart of the Grand Strand, a 60-mile crescent of beach on the SC coast. 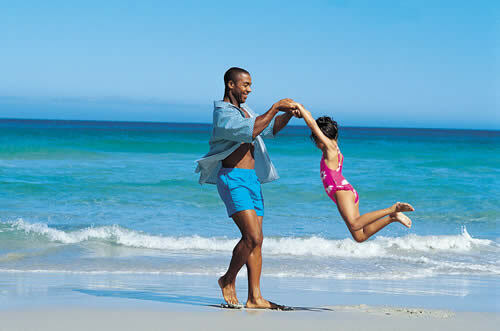 The area has earned the title of #1 Family Beach in America, with over 13 million visitors annually. 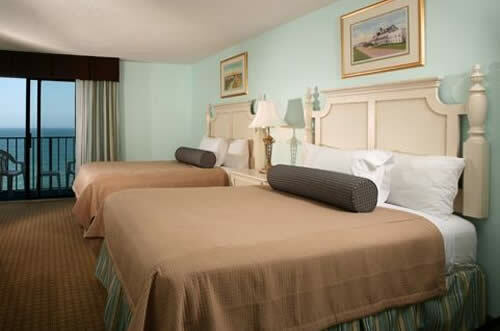 Browse our accommodations guide and you will find a myriad of Grand Strand lodging options. You'll discover everything from oceanfront Myrtle Beach hotels and resorts or luxurious Condos and spacious vacation rentals to award-winning oceanfront campgrounds. 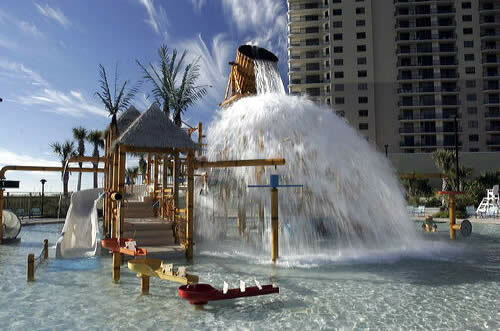 Most Myrtle Beach resorts provide a myriad of on-site, recreational amenities such as water parks, lazy rivers, jacuzzis, saunas, exercise facilities, tennis courts and golf courses. Visitors vacation in Myrtle Beach to enjoy the wide sandy beaches, the warm waters of the beautiful Atlantic Ocean, the myriad of on-site amenities at area Resort Hotels and a multitude of available activities including: dining at over 1700 restaurants, enjoying numerous live shows, golfing on the world-class courses found along the Grand Strand, entertaining the kids at several exciting amusement or water parks and shopping at area malls, outlet parks and specialty shoppes. For almost 20 years, beginning with the arrival of Calvin Gilmore's Carolina Opry, the area has been a home for live entertainment theaters. Today, the Grand Strand hosts several exciting shows featuring music, dance, comedy, dining, and more. In addition to the Carolina Opry, the area is home to Dolly Parton's Pirates Voyage, Medieval Times, Legends in Concert, The Palace, the Alabama Theatre and more. 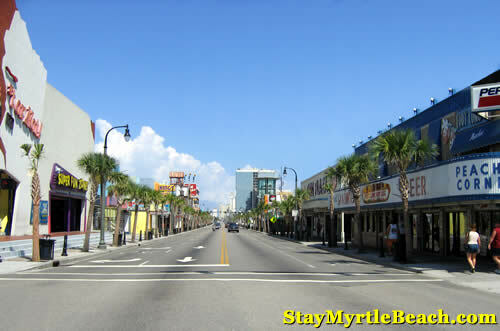 Visit our Myrtle Beach Shows page for more information on all the great entertainment found on South Carolina's Grand Strand. The area also hasn't forgotten the kids (young and old alike). 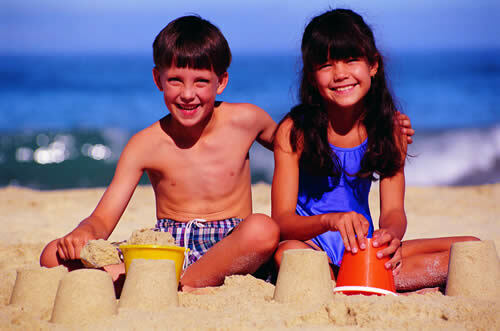 When families vacation along the Grand Strand, playtime for the kids is a high priority and the area makes it easy to keep the whole family happy. From water parks full of rushing water slides and raging wave pools to amusement parks with exhilarating race cars and thrilling roller coasters as well as incredible mini-golf courses, the area has something for every member of the family. Check our Attractions Guide for more ideas for your vacation. Shopping is the 3rd biggest reason people visit the Strand (behind the beach and golfing). The area is home to 3 huge factory outlet centers as well as 3 shopping malls, including the new Coastal Grand Mall (the largest in SC). For a change of pace from the mega-shopping complexes, visit the many specialty shops in the low country setting of Pawleys Island. If you want to "Shop 'til you drop", visit our Shopping page for more information. With approximately 100 golf courses the Grand Strand has more public golf courses per person than anywhere in the United States. Also, the area has some of the best courses in the country, designed by some of the biggest names in golf. When dining along the Grand Strand of South Carolina, the biggest problem is choosing where to eat from the more than 1700 restaurants in the area. The Myrtle Beach area is famous for extraordinary, fresh seafood, but you will also find something to please everyone in the family including: Italian, Mexican, Japanese, Chinese, German and more. For Great Rates on oceanfront lodging in Myrtle Beach and all up and down South Carolina's Grand Strand, check out these amenity-laden hotels located near area attractions! If you need accommodations with more room, take a look at these condominiums !